Dak Lak (Đắk Lắk), Vietnam is a province situated in the center area of Tay Nguyen (Tây Nguyên) (the Central Highlands). This province adjoins Gia Lai to the north, Lam Dong to the south, Dak Nong (Đắk Nông) to the southwest and Khanh Hoa and Phu Yen to the east and Cambodia to the west. In Dak Lak, the border line between Vietnam and Cambodia is about 70 km in length. Situated 1410 kilometers from the capital of Hanoi (Hà Nội) and about 320 kilometers from Ho Chi Minh (Hồ Chí Minh) City, Dak Lak’s capital city is Buon Ma Thuot (Buôn Ma Thuột), which may be one of the most well-known destinations in Vietnam due to its best coffee in South East Asia. Spreading out on the area of 13085 km2, Dak Lak has a mainly mountainous topography. An interesting thing about Dak Lak is that 1/3 of the area of Dak Lak is Basalt which is a precious type of earth that is an advantage for the province to develop the rubber pepper, coffee. 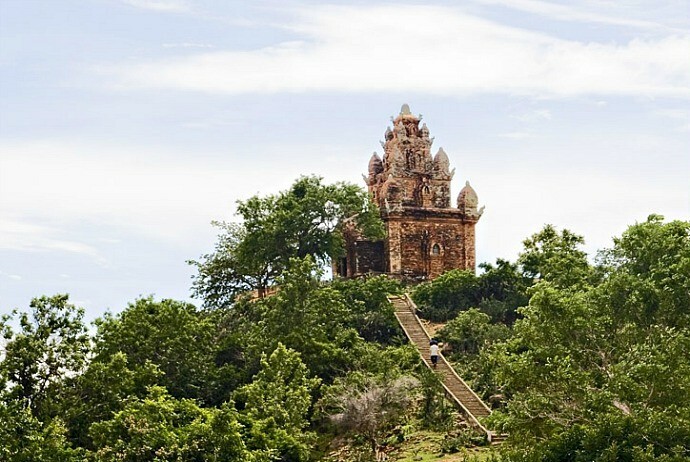 Being among potential provinces of Vietnam when it comes to tourism development, Dak Lak has many natural and historical sites, not to mention to its deserved but deeply-rooted culture and tradition. The exhilarating culture of Dak Lak is strongly reflected through different forms of art: the language of the H’mong and Ede ethnic groups, and the musical instruments like lithophone, T’rung, K’long Put, etc. Also, Dak Lak is a part of the Space of Gong Culture of the Central Highlands of Vietnam recognized by UNESCO as the Masterpiece of the Intangible Heritage of Humanity in 2005. In addition, the architecture is the other factor that people in Dak Lak could be proud of: in thousands of long stilt houses in Dak Lak, each piece of furniture here is made by hand from those giant wild trees. The cuisines in Dak Lak are diverse because of 44 ethnic groups residing in Dak Lak, covering different dishes of 3 separated regions of Vietnam: north, middle and south. In addition to those mouth-watering foods like Ban Don (Bản Đôn) grilled Chicken, Ama Kong wine is what you should not miss when visiting Dak Lak. Due to the characteristics of its geography, Dak Lak is impacted by the tropical monsoon climate along with the highland cold weather. Markedly, with two seasons, rainy season lasting from May to October to dry season lasting from November to April give the province a particular climate from other Vietnam’s parts. In addition, the weather here is a good condition for the growth of some industrial plants like rubber trees, coffee, and cotton. 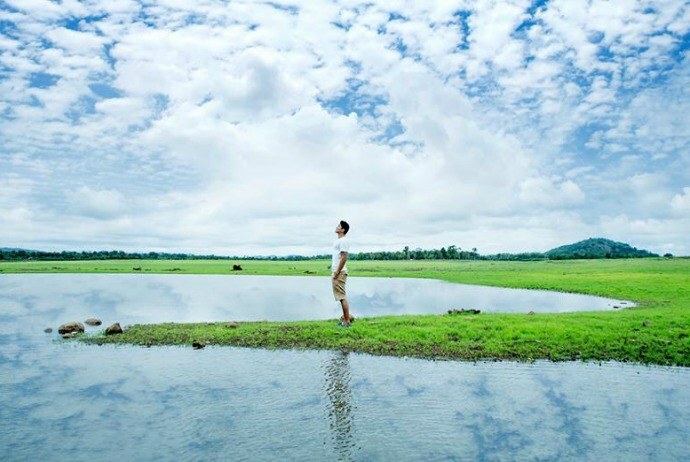 Situated just 12 kilometers to the southeast area of the capital of Dak Lak – Buon Ma Thuot, Ea Kao Lake is a tourism spot built in a large scale. It has exhilarating and unique features; Ea Kao Lake is a modern sight which is full of traditional essences. Ea Kao Lake is about 120 ha. Its topography is diverse, ranging from slopes, hills, streams, etc. In addition, the weather here is great: beautiful and cool with the average temperature of 20.7oC. This type of weather is an advantage feature creating diverse scenery which is perfectly suitable for the development of tourism. This site is established in the natural space with full of colorful flowers and green plants. In addition to contemplating the scenery, tourists could also take part in a lot of cultural events as well as entertaining activities. In details, this site is split into a few smaller sections including hotels, amusement park, flower gardens, restaurants, playing ground for kids, botanic, natural preservation site, camping sites, and so on. All of them are logically and charmingly arranged in the order which is beneficial for tourists. What is more surprising is that Ea Kao Lake Tourism site is not just an attraction with the beautiful natural scenery which possesses a large number of tranquil lakes, but it also has a huge contribution to the attempt of the region to carefully preserve the environment as well as the precious cultural values of ethnic minorities. Visiting Ea Kao Lake Tourism Site, tourists will definitely enjoy the moment relaxing in the invigorating and fresh atmosphere of the Central Highlands. The Cham Tower in Central Highlands, Yang Prong Tower is situated in Ea Sup District, 100km away from Buon Ma Thuot. Built in 13th century, this tower is worshipped the God Siva for wishing for a happy and peaceful life. This is an architectural construction of the red ceramic bricks settling on the foundation which is made of blue marble stones. Being 9 meters in height, this tower has a base of square shape. Despite it seems that there are 4 entrances, this tower has just one gate which faces the East, referred as the Gods’ kingdom. Three other doors are situated in three other sides of that tower. They are artificial. Actually, in compared with other designs of Cham towers in the middle area of Vietnam, Yang Pong’s upper part is broad into a huge cone-shaped roof, from which tourists could comfortably expand their views over the spectacular scenery of the central Highlands. Visiting Yang Prong Tower, you will experience a rare and unique feeling of staying in a different world. This is one of the most well-known attractions of Vietnam, attracting a lot of tourists and researchers from all around the world. 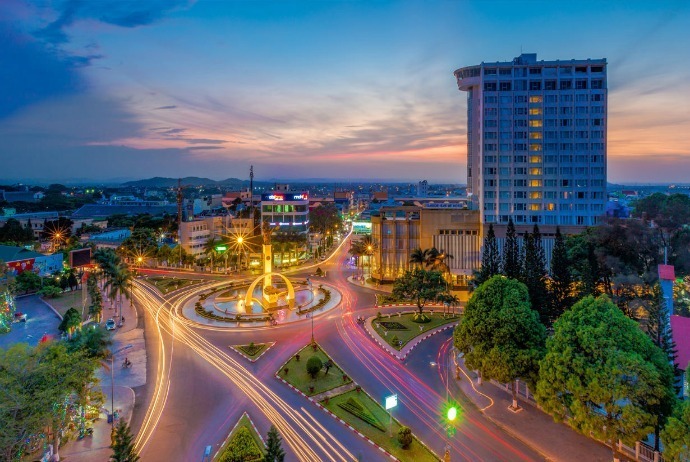 Situated at the height of 536 meters, the city of Buon Ma Thuot is the biggest city in the Central Highlands, also the capital of Dak Lak. This city has a cool, calm weather throughout the year, with the average temperature of 230C. Known as the most crucial part of Central Highlands, Buon Ma Thuot has the biggest population, most luxurious market. In the past, this city was the cultural, administrative, and economic centre of the entire region. In Buon Ma Thuot, all its roads connect with different provinces in the Central Highlands. Those roads also link Dak Lak with Dalat (Đà Lạt) City, Ninh Hoa (Ninh Hoà), Khanh Hoa (Khánh Hoà) and Ho Chi Minh City, etc. This city is renowned for different kinds of fruits and veggies, particularly coffee. Its coffee has been monopolized the market of Vietnam for many years. When tourists come to Buon Ma Thuot, they could visit some noticeable waterfalls, such as Dray Anour, Dray Sap, Dray H’ling and so on. 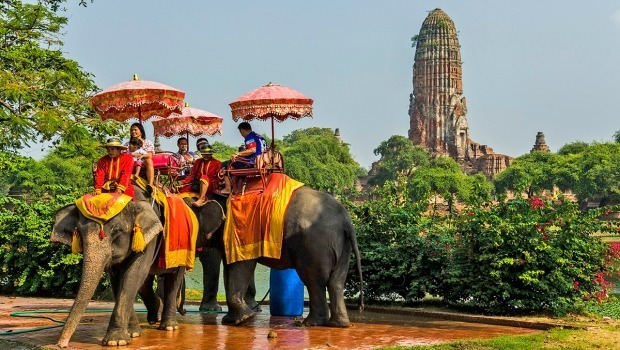 Also, they could enjoy the trips to some villages of ethnic groups such as E-de and M’nong in order to experiences the interesting and valuable essences of Gong Festival, sit still on the piragua, breathe in the wild air of Asia, and ride the elephants during adventurous hunt in mysterious forests. In addition to the ancient constructions built mainly from wood, locals find it necessary to build more creative and modern buildings. Therefore, when visiting Buon Ma Thuot recent days, you could see wide roads that are decorated with beautiful flowers and green trees along with many newly constructed residential complexes. Nonetheless, the most crucial thing you can do in this city may be drinking coffee. The Basalt of Dak Lak empowers this city to successfully grow Robusta Coffee better than other places in the world. The coffee in Buon Ma Thuot has been mesmerizing both domestic and international consumers for decades. In addition to coffee, Dak Lak is also well-known for many breathtaking waterfalls. 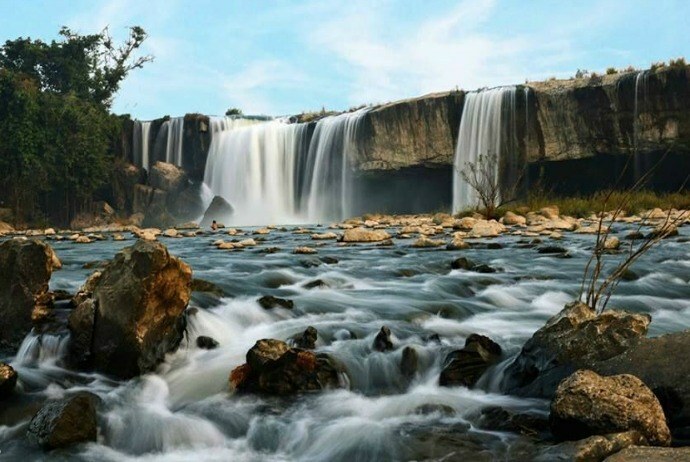 The most famous falls are Dray Sap and Dray Nur, which are both situated within one hour driving from Buon Ma Thuot city. Dray Sap and Dray Nur are stunning sites in both dry an wet seasons and are separated by a short hike. If you have a chance to visit these waterfalls, do not forget swimming in the clear water here, taking photos with friendly local people who would love to gather here and enjoy their spare time with friends and family.